Surprising New High Tech, Affordable Security And Automation Solutions For Property Management Professionals and Vacation Rental Property Owners. Managing vacation properties for clients is still accomplished using old school, outdated, and inefficient methods by many firms. It may be time to upgrade your capabilities and profits by embracing and implementing new, amazing and surprisingly affordable high tech systems! A.L.S. Security Solutions makes it easier than ever to manage both large and small properties utilizing remote and automated systems that allow you to run your operation much more effectively than you could imagine! Asset Management: Eliminates mechanical keys and remotely controls who enters the property and when. No Wi-Fi Needed! Everything is controlled over our secured cellular network. A.L.S. Security Solutions offers an assortment of vacation property security solutions to protect your vacation rental properties from serious security breaches, safety and financial disasters. Energy Management: Here’s an area that can drive management firms and owners alike, crazy. Consolidating and adding new, high tech yet affordable systems will reduce energy consumption for an immediate impact on your property’s bottom line! Managing energy across an inventory of properties can drain resources that often lead to a waste of energy and money. Our systems give you control of your energy consumption and monitor HVAC performance to reduce costly service calls across ALL of your locations for 10-20% savings on energy costs. Vacation Property Automation: A.L.S. Security Solutions connects all of the smart devices in your vacation properties to provide vacation property management owners with smart, responsive automation and seamless control. Unlike stand-alone solutions, our intelligent services are the foundation for your connected properties, providing you with access to cutting-edge control, increased awareness, and state-of-the-art technology. Smart Irrigation by Rachio: The Smart Sprinkler Controller gives you control of your sprinklers and watering bill, right from your smart phone. Get up to 50% off your water bill with a Rachio Wi-Fi Sprinkler Controller while giving your plants exactly the water they need to thrive! 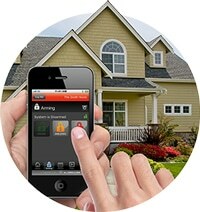 Vacation Property Security: Every security solution offered by A.L.S. Security Solutions can be customized to fit your properties unique configuration. We can affordably upgrade your vacation properties to become the most modern smart management businesses with intelligent automation across all of your connected devices, in one system that is simple to use and monitor. Video Monitoring: A.L.S. Security Solutions allow you to see in real time, in crystal clear high definition, what’s happening at vacation properties, so you can receive instant alerts if something occurs. We make it easy to monitor your properties and provide peace of mind knowing your vacation properties are safe and sound. Energy Management: Save energy, control and let your guests stay comfortable automatically by connecting all your devices into a single system. We give you the ability to control your thermostats, lights and sensors in one app and receive immediate alerts when something changes. Imagine the cost savings and guest appreciation of staying at a well-managed vacation property. Locksmith Services: Whether you want to convert an owners closet, install child safety locks to sliding glass doors, add a Hotel Safe for your guests, rekey your home to one single key or have multiple sites requiring a Master Key system, we can do it all. We’ve been providing Vacation Home specific Locksmith Services since 2003. We are well aware of the demands and needs of this industry and can meet them all. Curious about how we can help you make more money, provide better management services and be the go-to property management company in your market? GET YOUR FREE, NO OBLIGATION VACATION PROPERTY MANAGEMENT ASSESSMENT! Call us now, so we can do a thorough assessment of your current technology, uncover any deficiencies we see with your existing management technology and make recommendations of how you could potentially save money doing a much better job for your clients! Worst case – you’ll know more about cutting edge property management systems. Best case – you will be the leader in your area, dominating the competition hands down!